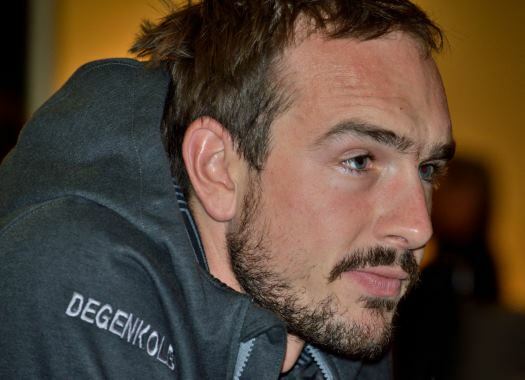 John Degenkolb has become the ambassador of the association Les Amis de Paris-Roubaix or Friends of Paris-Roubaix. This association has taken charge since 1977 to preserve the roads that make this race one of the most iconic of the sport. At a time in which all cobbled roads were slowly disappearing, Les Amis de Paris-Roubaix took the role to protect and maintain the stretches that year after year help the race become one of the favourite competitions for many cycling fans. Trek-Segafredo's John Degenkolb won the race in 2015 and it is one of his favourites, which is why he is becoming an ambassador for the association. "Cycling. A modern sport in technical times," said the rider in a press note. "Yes. That`s one part of the cycling business. On the other side, you have the old races, classics, history. Legendary routes and names like Le Tour de France or Paris-Roubaix. Goosebumps for all cycling fans and as well for me. "These legendary races. These holy grounds. The history and heroic stories, you can smell that on every kilometre. For me, it was the classics that fascinated me immediately. I will never ever forget sitting at home on our couch with my dad and follow these races... I was infected with the 'virus'. That's what I wanted to do as well. I wanted to become a pro cyclist and do these epic courses. l wanted to be part of that history." The rider is happy to back a project that aims to maintain the race as true to its origins as possible. "These memories still motivate and push me till today and so I didn’t need to think one single second as I received the request to become the first professional official ambassador of 'Les Amis de Paris-Roubaix', the non-profit association that keeps and protects Paris-Roubaix course as it always was. "They protect it from modernisation and guarantee that the Paris-Roubaix race will be till today as hard, heavy, nice, amazing and lovely brutal, that the course will be exactly the same as back in 1896 at its first edition. I am very proud to give something back to the race I owe so much."